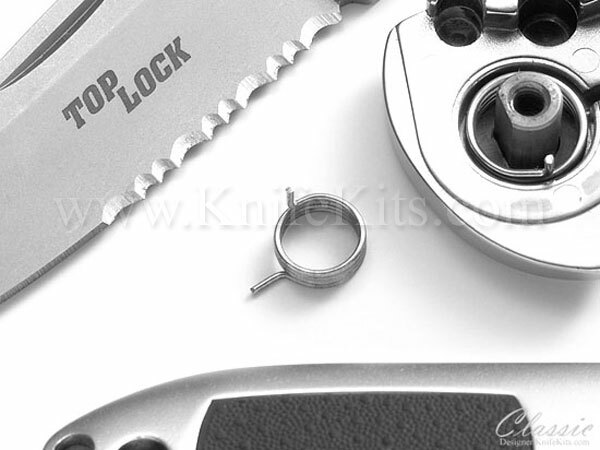 Our 0.375 inch automatic coil springs are designed to replace many popular automatic switchblade knives from today's popular knife manufacturers. Some of these include Combat Elite TAS Autos, Benchmade, Boker, Dalton, S&W, Microtech, Paragon, Pro-Tech and other frame coil fired switchblade knives. Our automatic coil springs are used by custom knife makers all over the world, where performance and reliability are a must. 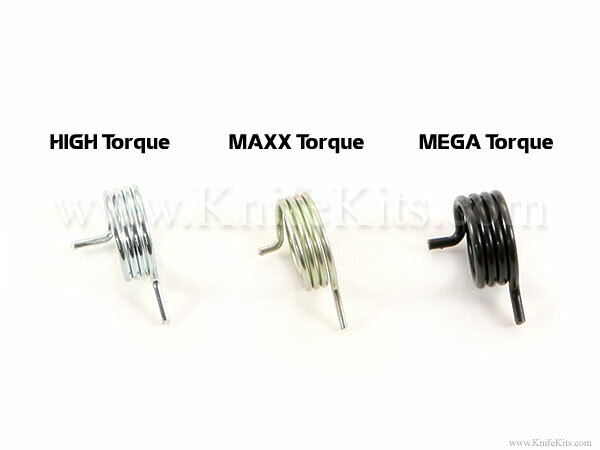 Our MAXX Torque coil is a slightly stronger version of our standard coils and has a new finish (Zinc Coated as of 09/2012). Designed to deliver an extra 4-6% more torque, you'll find this model is great for assisting longer blades, or in older actions. Some users prefer the stronger kick produced in standard replacement and find these an excellent upgrade. A strong, firm kick is the characteristic of the MAXX Torque model. Note: Please measure your spring size in inches before ordering. A rule of thumb is to measure the center of the pivot to the spring tip hole in the blade and double it for the correct coil diameter, in inches.